Beat the Winter Blues with Pansies! 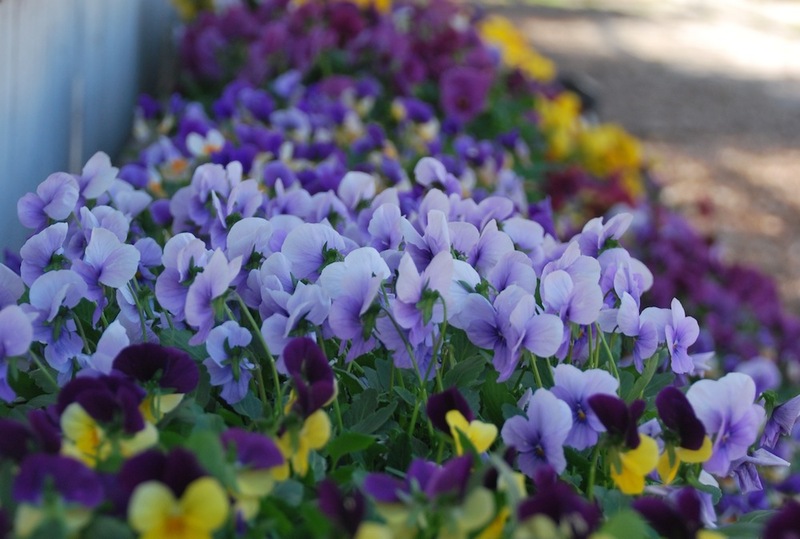 It’s time to start thinking about planting pansies, and we now have flats of them in our garden center! They are locally grown in Hatfield Pa, just 35 miles away! Conventional wisdom says that you can plant pansies as soon as the ground has thawed enough to be able to easily work the ground. In late February and early March, the longer days and warmer temperatures start warming the ground and get it ready for pansies. Cold weather won’t harm these flowers, although temperatures below 20 degrees does slow their growth. If you plant pansies, and temperatures are supposed to get that low, covering them with old linens, etc. will help protect them. The earlier in the season you plant your pansies, the more time they will have to grow and establish their roots. If you plant them now, it will be a great way to get a jump start on your spring garden as they will be beautifully blooming by early April!